In Lesson 8 we looked at the class P, the set of efficiently computable languages. In Lesson 9 we studied the class NP, the set of languages with efficiently verifiable proofs. Does P=NP, i.e., is every language with efficiently verifiable proofs computable efficiently? The P versus NP question is the most important question in all of theoretical computer science and in mathematics in general. The Clay Mathematics Institute lists the P versus NP question as one of their seven Millennium Prize Problems. Determine whether P=NP and collect a million dollars. To understand the importance of the P versus NP, let us imagine a world where P = NP. A large class of interesting search problems in NP, thought to be hard to solve, would have efficient solutions. These include Factoring, Map Coloring, Traveling Salesman, Job Scheduling and thousands of others. 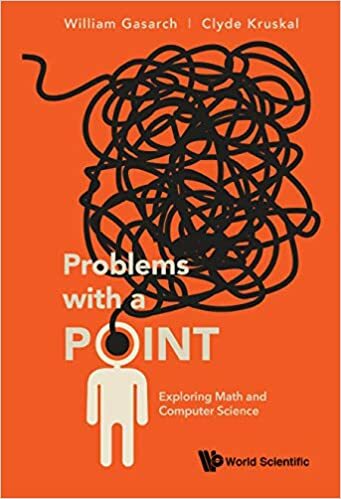 Half of Garey and Johnson is just a listing of NP-complete problems. Public key cryptography would be impossible. Learning via Occam's razor would be easy. For example if you wanted an algorithm for separating spam from useful email, just search for the smallest circuit that correctly identifies a large set of samples. You can do this if P=NP. This is just the beginning. Of course the general consensus is that P≠NP but we have no idea on how to prove it. Many of the future lessons will deal directly and indirectly with the P versus NP problem. With these lessons, I hope to give you a real feel of the importance and difficultly of this most important question.